Hello! 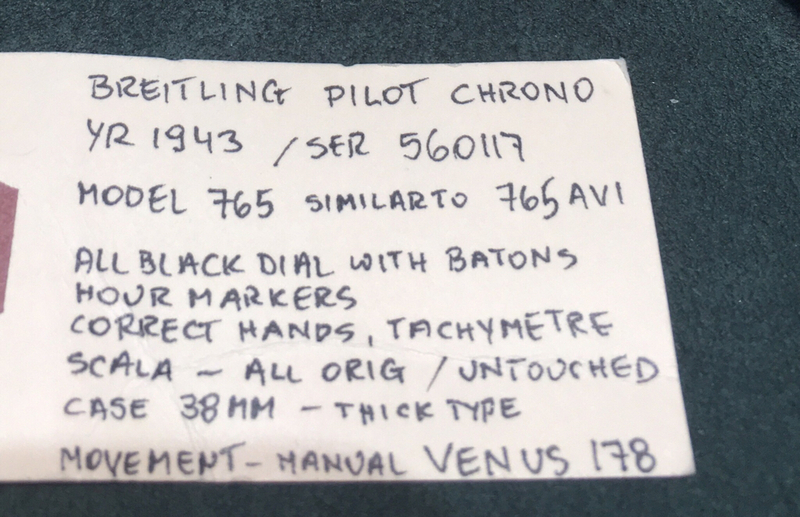 I’ve put this Vintage Breitling 765 on hold while I research it and I was curious if anyone here could give me any information on it? I have spent the last few weeks finding what I could - but 99% of the information online and in forums is on the AVI and navametre and co-pilot. The movement is a venus 178 (sorry, no photos yet!) but the dial is AMAZING! There is a clear orange scale around the outside and I just Love this watch, but can’t find anything on it outside of it’s relation to the models mentioned above. It keeps great time, and everything runs perfectly. I know the hands appear to be re-lumed , which I’m okay with-but I wanted to share and see if anyone has seen one of these in the metal before, in such condition- and if any red flags jump out. The know the crystal has been replaced , but I’m happy with that and they did a great job as it shows the outside scale on the dial perfectly. I trust the dealer and love the watch- just curious about what this awesome community thinks! 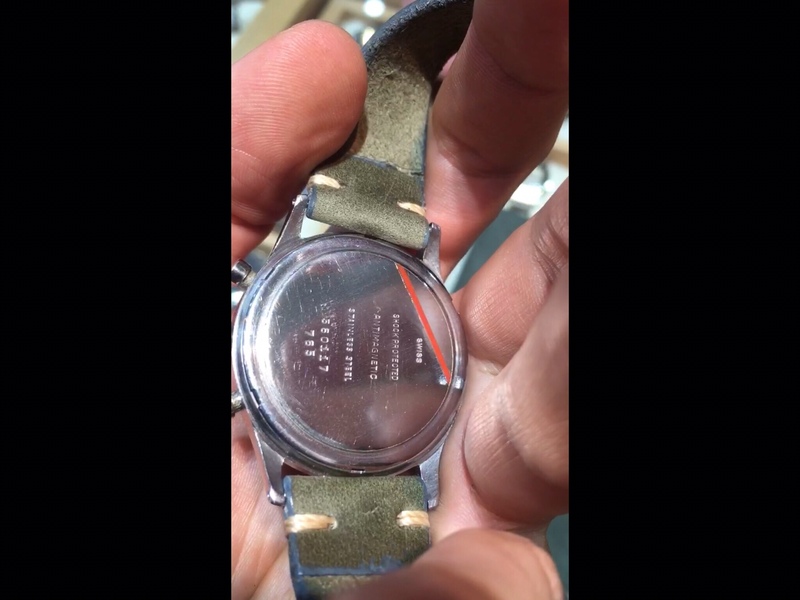 1) could the dial be a replacement dial from some point , since it’s in such good condition? I betting it’s not - but can’t find anything but the original booklet photo in black and white. 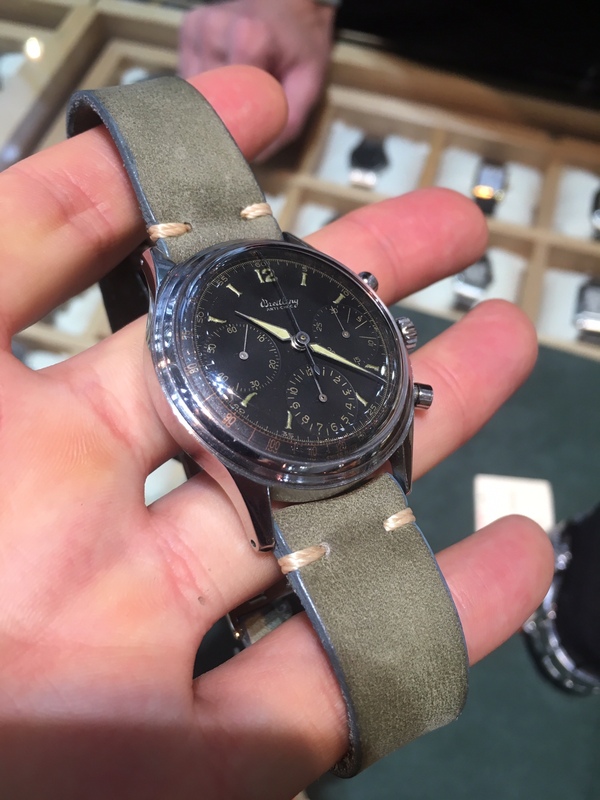 2) the seconds hand on the left Subdial seems like a replacement- does it seem off? Perhaps just aged differently? 3) anyone know anything about the history of this specific model? It was war time and I know Breitling played a part. Im surprised to not see more of these out there - anyone know the reason for this since there are loads and loads of AVI’s , etc? 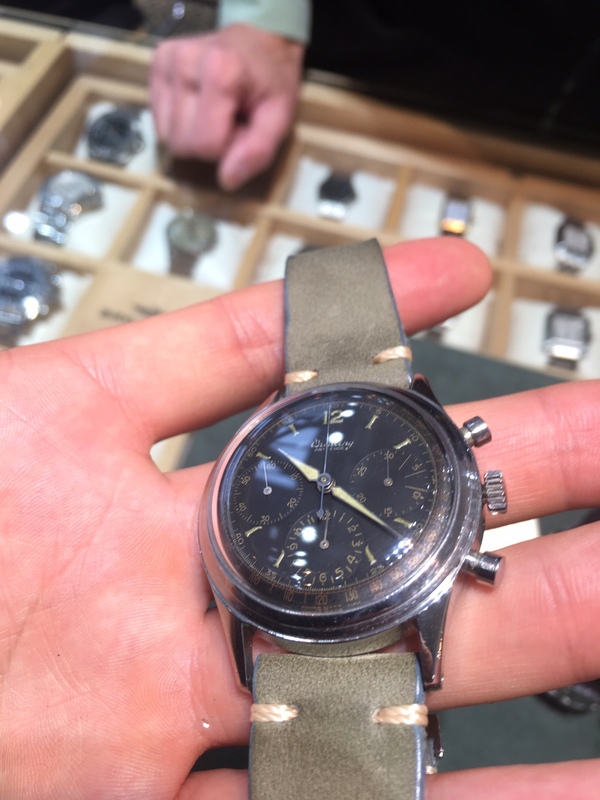 4) notice the “antichoc” on the dial- all I have found is “premier” or no writing at all- I know this is French for anti-shock, does that provide any information about the watches origin, etc, by chance? These might be better @WatchFred. The OP had far better pictures when he originally posted it on WUS. No movement picture unfortunately. - the "anti choc" is fine for earlier examples, "Premier" only started to appear in ca. 1943 and was gradually introduced.